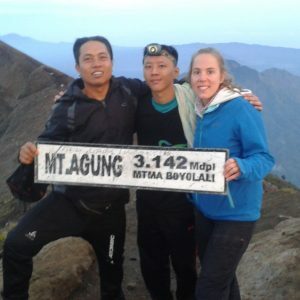 This is one of the stories my experience climbing Mount Agung ( volcano) ,from 900 times my ascent i have done. One day there was incoming message via email from michiel with his friend ,who comes from spain . They stay at Westin Resort Nusa Nua Bali. He sends the message that he wanted to climb M.Agung with me via Pasar Agung Temple to the real summit 3.142 m, on the sea level. Then I explain to them if they climb to the real summit the journey about 5 – 6 hours to get the highest peak. At 09.00 pm that I reached in Westin resort to pick up , and then they come .We greet each other and shaking hands, then we headed Pasar Agung temple ,we need 3 hours by car . When we are in start point and parked the car ,then I give them equipment such as headlamp, walking stick and gloves. 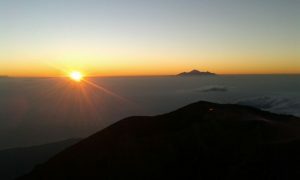 Because Michiel and his friend need to real summit , I have to depart earlier than on hike to craterim . Then we started depature ascended to temple. In the temple I pause to pray begs to travel we survived till the destination. After that we continued the ascend with headlamp on street lighting that give us . Litle by litle we move up into the forest, then we get the quater of our journey and seper short break for drink water , an food such as ; cakes bread and bananas that I carry . That time the weather was verry supportive , then them took the camera to capture the wonderful views on the ceiling with stars studded and views of urban light .After 5 minutes pass we procceed step by step finally we get the middle. We rested briefly to drink water, because the throat feels dry. After that we continue, the road journey to rocks to be coaster makes us feel happy ,because sometimes there flat.while we where chatting near the peak,. Because of the time shows at 05.00 am. We take a break for a moment to stretch our leg muscles and sit back while enjoiying the scenery. On the way in I always give spirit so that they can reach the top . After hours 05 .30. am. 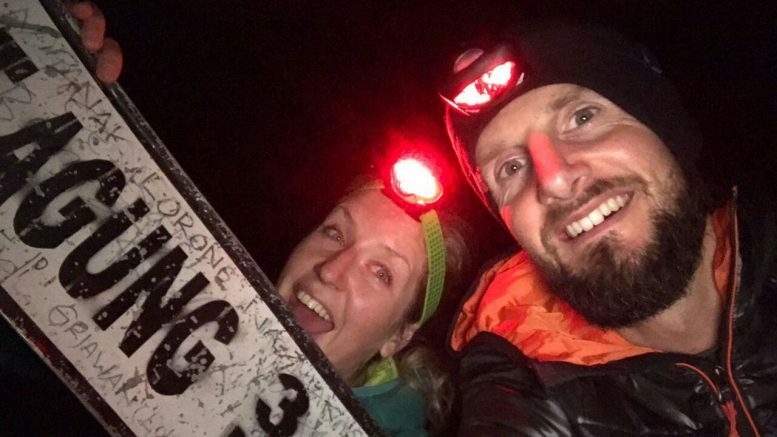 We continue our journey to the top and we get to the real summit at 06.00 am. While waiting for the sunrise, l began preparing breakfast and hot coffee to warm the body because on the top very cool , about 15 degrees. After they enjoyed their breakfast, the sun is coming up with a bright smile like they are happy to see the sunrise and the natural beauty of Bali from the top of M.Agung. I tell them to take a thousand pictures and don’t forget to selfies with me then they lough, then we take a picture together ( selfies). After 07.00 am we started down the mountain. 1.Among other thing : clothing ,jacket, long pants and shoes. 2.Full of spirit and always thinks positive that you can. 3.Carry your bag to put the camera , snack and water. The cost for trek to craterim 3000.m on sea level ,about 3 – 4 hours .